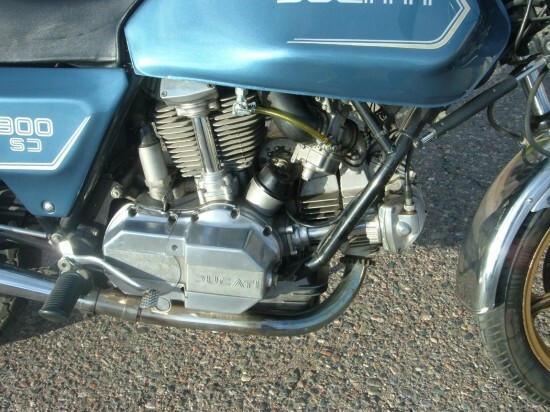 The Ducati Darmah was introduced in 1977 as a replacement for the unloved 860. A mechanical evolution of that machine, it represents the ultimate iteration of Ducati’s classic, bevel-drive engined roadster. It was fast and versatile, and prices have been relatively low, as the bike still falls into that transitional period between the classic 60’s and Ducati’s modern era. The SS may get all the headlines, but the bread-and-butter Darmah paid the bills for Ducati. 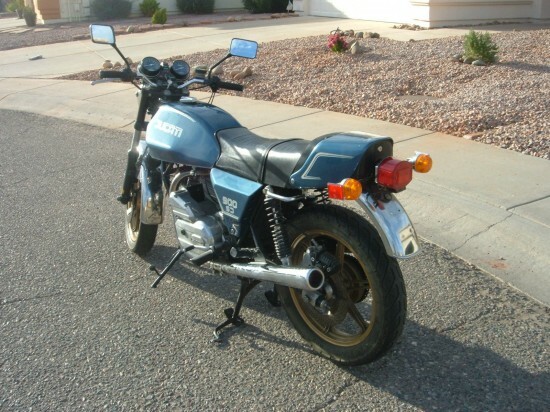 It featured an electric starter, relatively reliable Nippon Denso instruments, and a practical dual seat. The 864cc “900” made effortless power and returned admirable fuel mileage, making it a great useable classic. This is a nice original 1982 Darmah. It has all original finish, including paint etc. Does have bub slip ons, everything else is stock. The 82 is an unusual year for the darmah. If you look at the books it says like 431 global production with zero imported to the U.S. I have heard that maybe 40 or so made it here. I have owned this for 12 years and it has been great. I have replaced little things like petcocks/fuel line, but otherwise it has been great. It has always been indoors in the desert so the metal quality is great, shiny with no corrosion at all. The seat cover has a small tear just from wear, Not much else to say, really. Just a great bike. 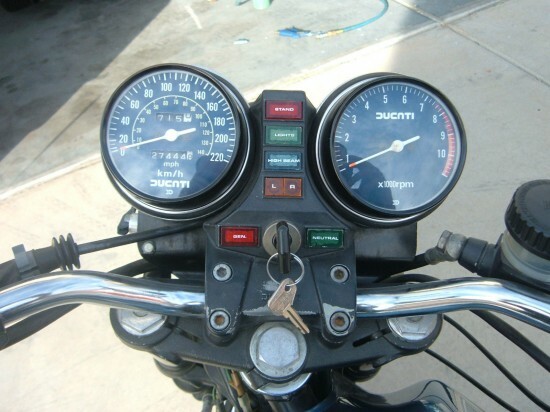 The speedo/odo is in kilometers with mph as the smaller scale, so the mileage is actually kilometers. Ready to ride anywhere. Cases have never been apart. They still have the seal in place. I do have the front signals. They have never been on it since I have owned it. Bidding is at just under $8,000 currently. 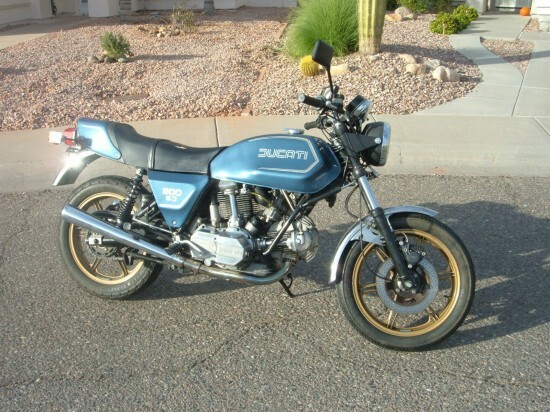 If it stays in this range, you’re looking at a very affordable way to get into vintage, bevel-drive Ducati ownership.